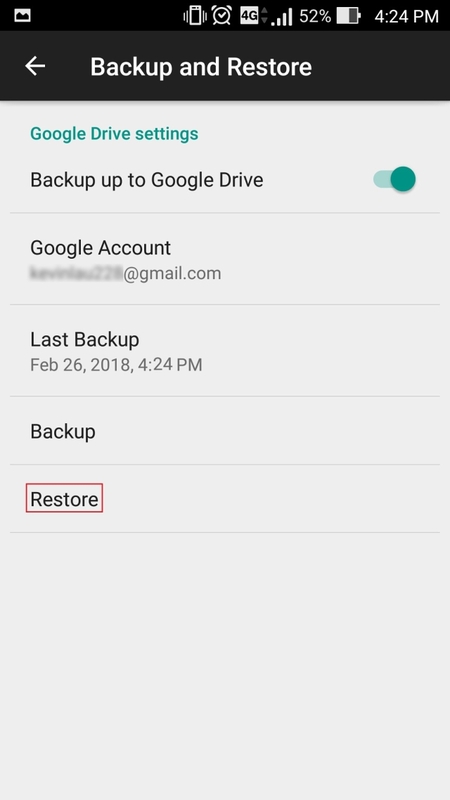 How to enable "Backup and Restore" ? 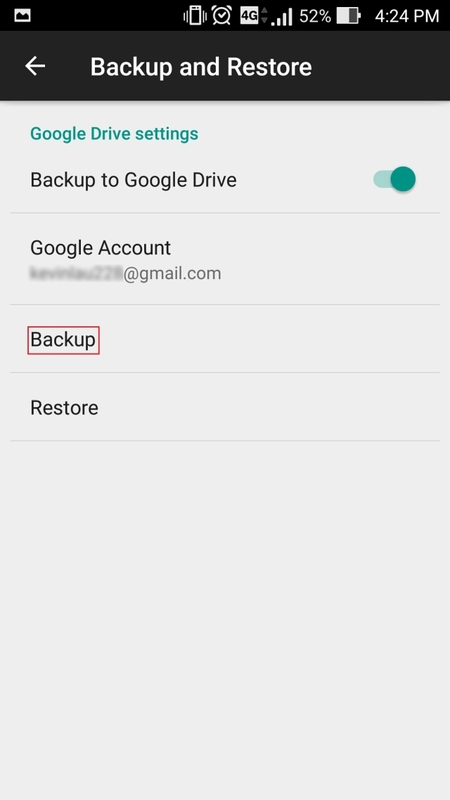 From the "Settings" page, choose "Backup and Restore". 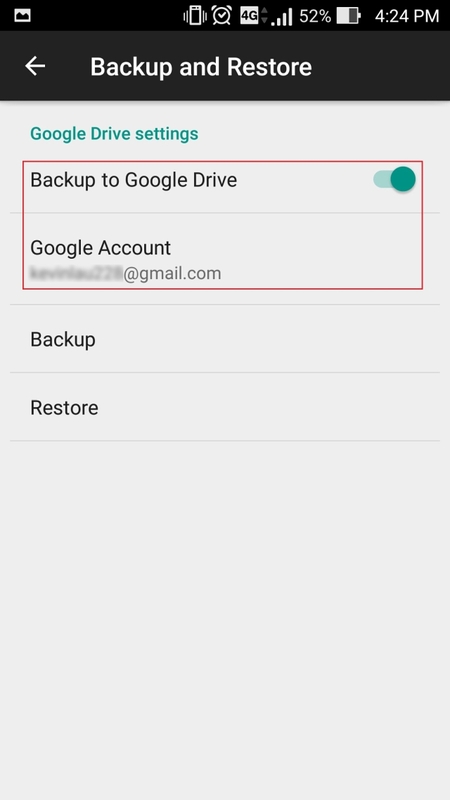 From the "Backup and Restore" page, choose "Backup to Google Drive". 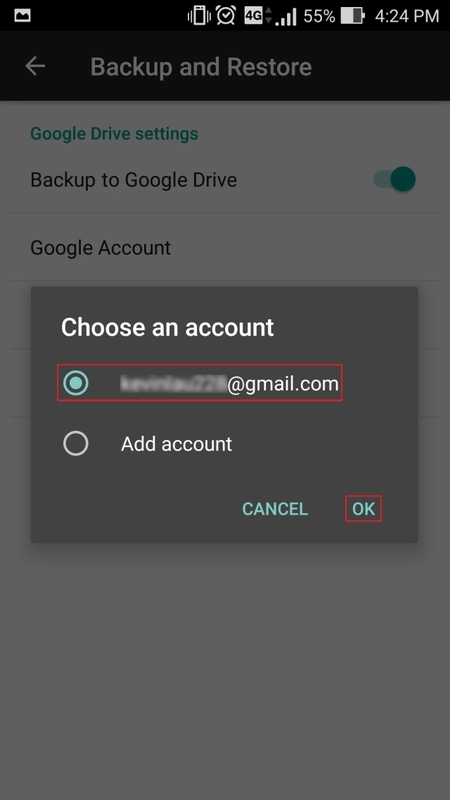 Choose your Google account and then press "OK". 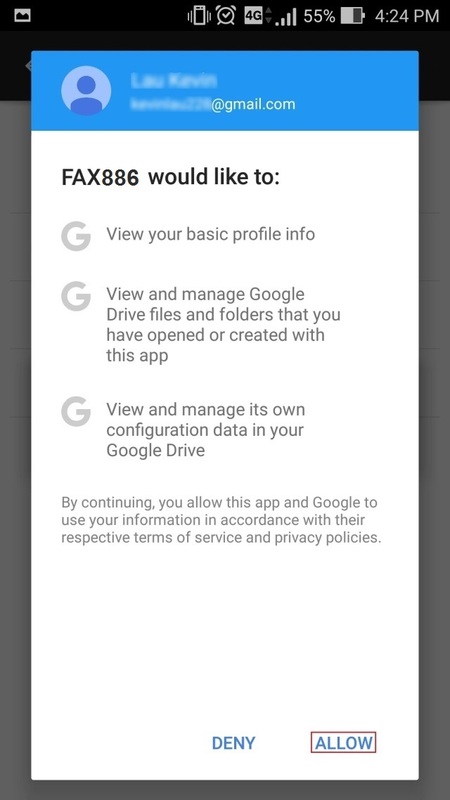 Press "Allow" to grant the permissions requested by FAX886. 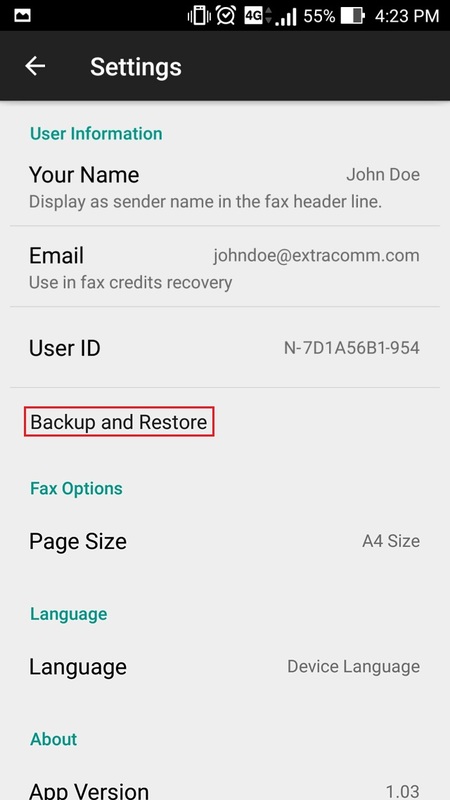 The "Backup and Restore" function is now enabled. From the "Backup and Restore" page, choose "Backup". 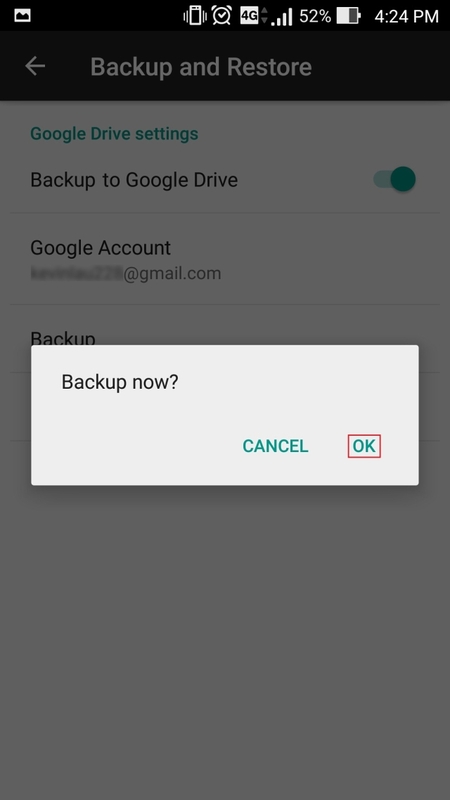 Press "OK" to backup now. 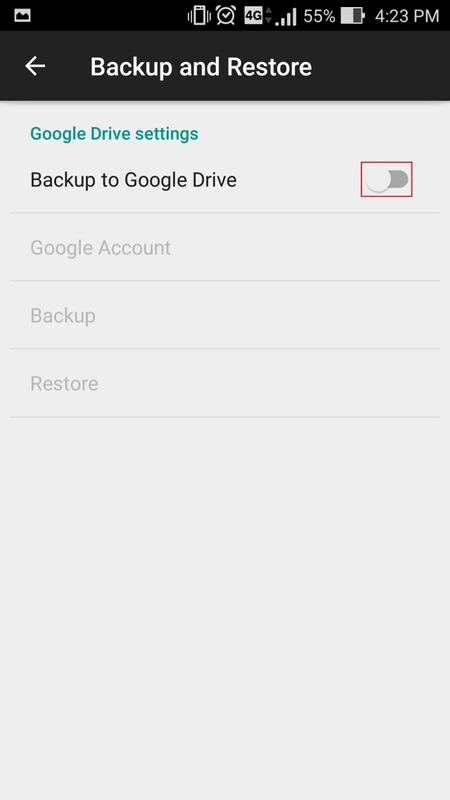 From the "Backup and Restore" page, choose "Restore". 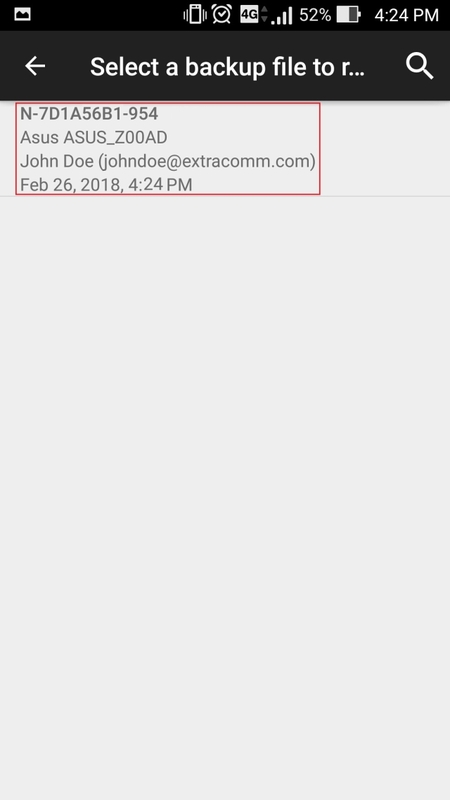 Select a backup file to restore. 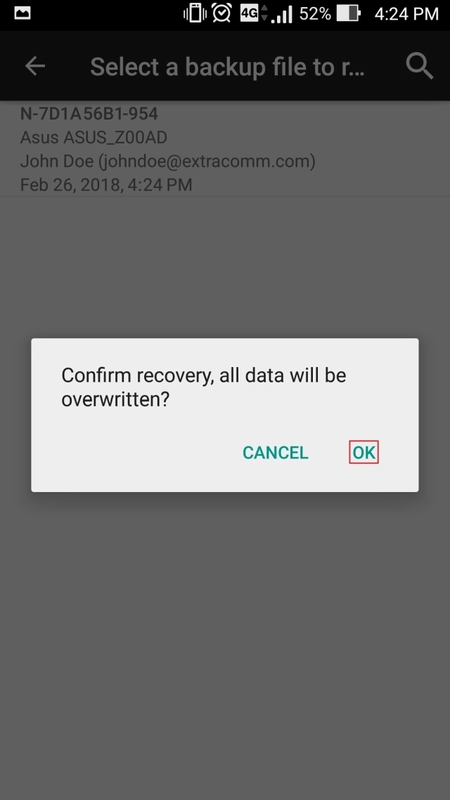 Press "OK" to restore now.